Erected by the widow and family in loving memory of. Finlay McKay Sutherland JP tailor died 17th April 1950 aged 63. 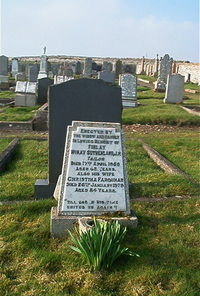 Wife Christina Farquhar died 26th January 1979 aged 84. Till God in his time unites us again.